I completed my version of the Midsummer Stitchalong with Studio MME at Feeling Stitchy. It was a relatively quick and fun piece to stitch. 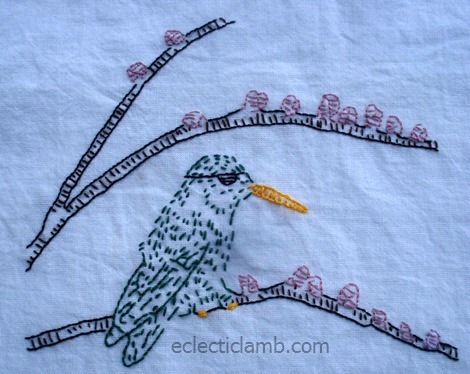 This entry was posted in Embroidery and tagged stitchalong. Bookmark the permalink. Wow stunning work Kathy! I love how detailed it is!